- Preview and play files instantly. 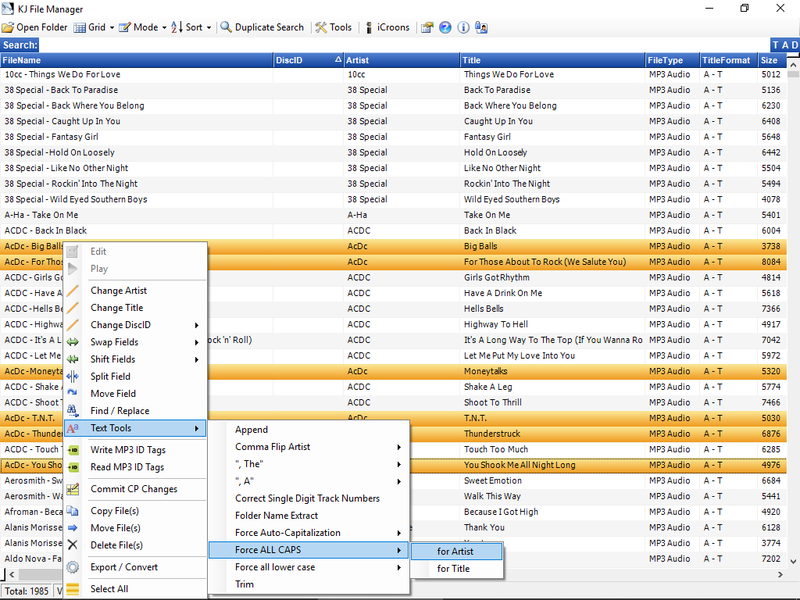 - Duplicate finder for locating song duplicates by same artist or by same artist and disc manufacturer. plus MPG, DIVX, VOB, FLAC, OGG, AVI, KAR, KFN, KMF, KOK, BIN, WMA, WMV, DAT, OTS, and WAV " A fellow KJ had the opportunity to run the new version on a "very large" data base and it functioned flawlessly. He was very impressed. Great Job! Thanks for giving value for the dollars I spend on utility software. " Works with tracks by any manufacturer!